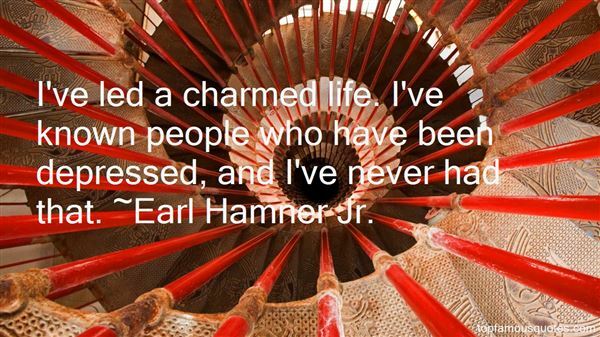 Reading and share top 12 famous quotes and sayings about Charmed Life by famous authors and people. 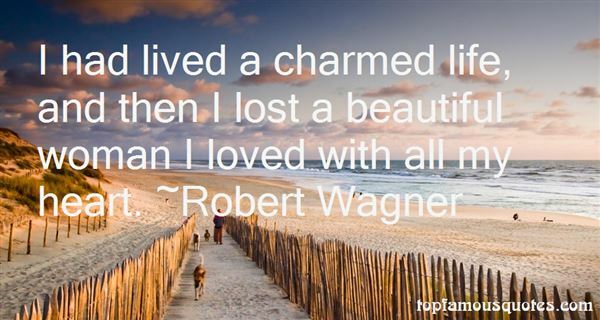 Browse top 12 famous quotes and sayings about Charmed Life by most favorite authors. 1. "I have the most charmed, most - I feel entirely blessed and lucky that I have the life that I have." 2. "Life was charmed but without politics or religion. It was the life of children of the children of the pioneers -life after God- a life of earthly salvation on the edge of heaven. Perhaps this is the finest thing to which we may aspire, the life of peace, the blurring between dream life and real life - and yet I find myself speaking these words with a sense of doubt. I think there was a trade-off somewhere along the line. I think the price we paid for our golden life was an inability to fully believe in love; instead we gained an irony that scorched everything it touched. And I wonder if this irony is the price we paid for the loss of God." 3. "I've led a charmed life. I've known people who have been depressed, and I've never had that." 4. "The calm within the storm is where peace lives and breathes. It is not within perfect circumstances or a charmed life... it is not conditional. Peace is a sacred space within, it is the temple of our internal landscape. We are free to visit it, whenever we seek sanctuary. Underneath the chaos of everyday living, peace is patiently awaiting our discovery... go within." 5. "Most people made comments on how I was the strongest woman they knew.That was before the title wave of disaster hit my charmed life." 6. "I've had a pretty charmed life, so there's nothing that I need to take too seriously right now." 7. 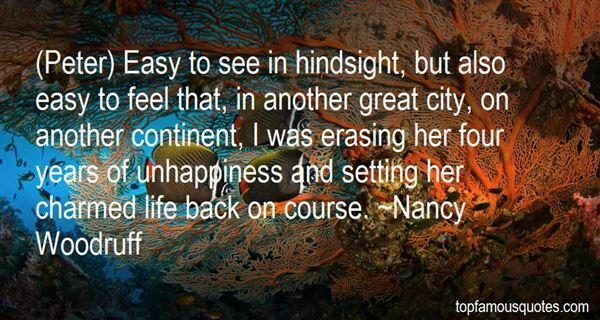 "(Peter) Easy to see in hindsight, but also easy to feel that, in another great city, on another continent, I was erasing her four years of unhappiness and setting her charmed life back on course." 8. "It was as if they'd discovered something that had once been there but had gotten hidden or misunderstood or forgotten over time, and they were charmed by it once more, and by one another. Which seems only right and expectable for married people. They caught a glimpse of the person they fell in love with, and who sustained life. For some, that vision must never dim - as is true of me. But it was odd that our parents should catch their glimpse, and have frustration, anxiety and worry pass away like clouds dispersing after a storm, refind their best selves, but for that glimpse to happen just before landing our family in ruin." 9. "He stared at me for several heavy seconds and then laughed—though there wasn't much humor in it. "You know what's great? You'reserious. Look at your face." He gestured, as though I actually could examine myself. "You really think it's that easy, that I can sit here and watch your happy ending. That I can watch you getting everything you want as you lead your charmed life." 10. "I had a very happy childhood, happy teenage years and I was famous by the time I was 22. A charmed life." 11. "I had lived a charmed life, and then I lost a beautiful woman I loved with all my heart." 12. "I can bear a charmed life"
All artists, they say, are a little mad. This madness is, to a certain extent, a self-created myth designed to keep the generality away from the phenomenally close-knit creative community. Yet, in the world of the artists, the consciously eccentric are always respectful and admiring if those who have the courage to be genuinely a little mad."